The Congress also released a list of 54 candidates for Odisha Assembly election. Jayadev Jena will contest from Anandapur while Biplab Jena will contest from Angul. New Delhi: The Congress on Friday released the 7th list containing names of 35 candidates for the Lok Sabha elections 2019. 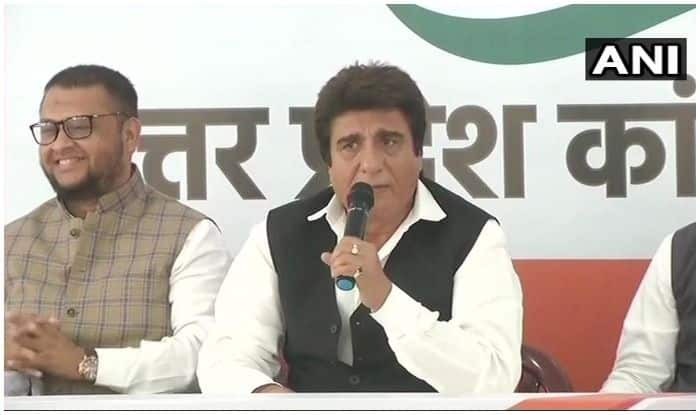 Uttar Pradesh Congress Committee (UPCC) chief Raj Babbar has been shifted to Fatehpur Sikri from Moradabad while Bahujan Samaj Party (BSP) chief Mayawati’s former aide Naseemuddin Siddiqui has been given a ticket from Bijnor. The party has nominated Imran Pratapgarhiya from Moradabad while fielding former Union Minister Renuka Chowdhury from Khammam in Telangana. The party has also fielded Vikramaditya Singh, the son of former Union Minister Karan Singh, from Udhampur constituency in Jammu and Kashmir. The other names included the list are: Trilokiram Diwakar from Hathras (reserved), Preeta Harit from Agra (reserved), Praveen Aron from Bareilly, Virendra Kumar Verma from Hardoi (reserved), Bal Kunwar Patel from Banda and Girish Chandra Pasi from Kaushambhi (reserved). The Founder of Bahujan Samyak Sangathan, Harit, who was posted as the Principal Commissioner Income Tax resigned from her post and joined the Congress a few days ago in the presence of Babbar. The Congress released its sixth list of 9 candidates, 7 from Maharashtra and 2 from Kerala, for the Lok Sabha elections. The party has announced the name of Shanimol Usman as its candidate from Alappuzha Lok Sabha constituency, where KC Venugopal is the sitting MP. The party released its fifth list of candidates for the coming Lok Sabha elections on March 19. The list contained 56 names including 22 candidates for Andhra Pradesh, 5 from Assam, six from Odisha, eight from Telangana, three from Uttar Pradesh, 11 from West Bengal and one from Lakshadweep. A total of 146 candidates have been announced for the elections starting on April 11.